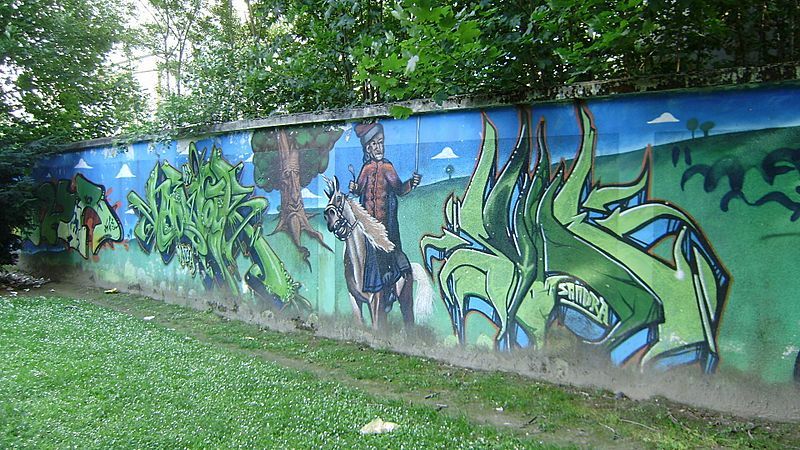 Graffiti is marks, scratchings or drawings made on a surface on a public place. It is often created with paint or spray paint (paint that is sprayed from a can). 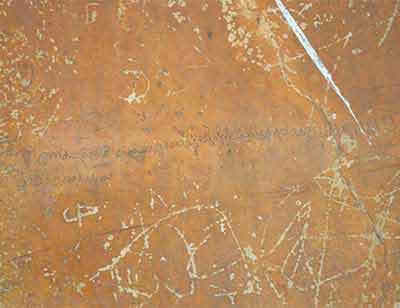 A single mark could be called a graffito but the word graffiti is usually used, meaning that there is more than 1 mark. Graffiti can take the form of art, drawings or words. When done without a property owner's permission it is considered vandalism. Sometimes it is just a person's name or a rude word. Sometimes it is as a public political protest. Graffiti has been found in very old cities. For example, in the Roman Empire, people wrote messages and drew caricatures on walls. Graffiti is also found in many places. 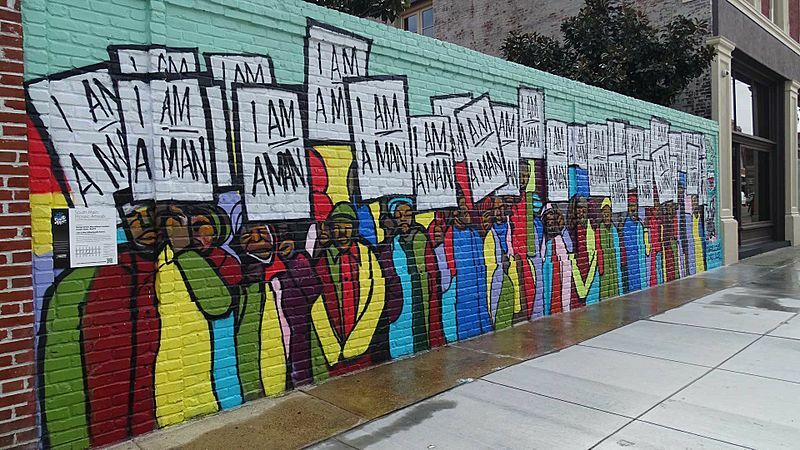 Some of people do murals of graffiti rather than just writing one mark in a location. It was used for good instead of vandalism. Probably the simplest graffiti is when a person cuts (or carves) the name of a lover on a tree with a knife. Today, many graffiti are very complicated mixtures of writing and pictures. 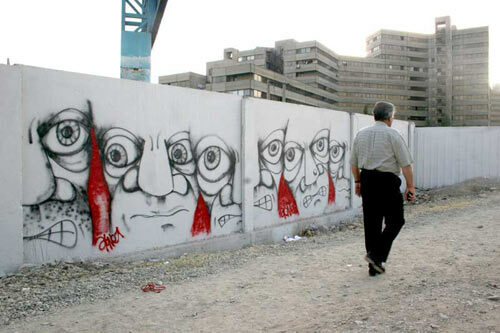 They are sometimes made by gangs and applied with spray-paint to buildings, bridges, street signs, and other areas. These are often signed with a tag (in graffiti slang, a signature), which is a shape special to an artist or group. Graffiti can be thought of as a part of hip hop or street protest. It is often but not always illegal. 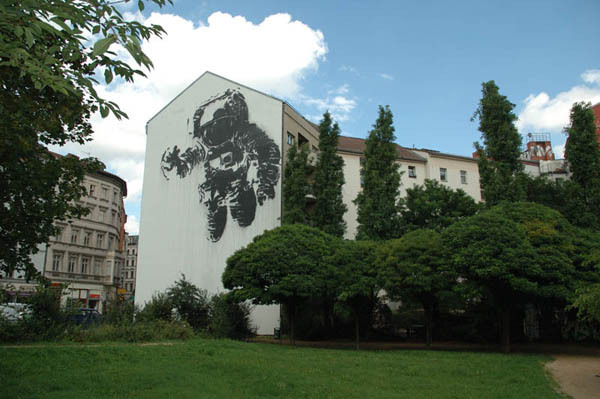 Some cities have small areas where graffiti can be made. Sometimes graffiti are very beautiful. Some people consider graffiti as not only something bad, but something good, like art. Some people pay graffiti artists to do graffiti on their buildings. In the 1980s, some graffiti artists like Keith Haring became very famous. 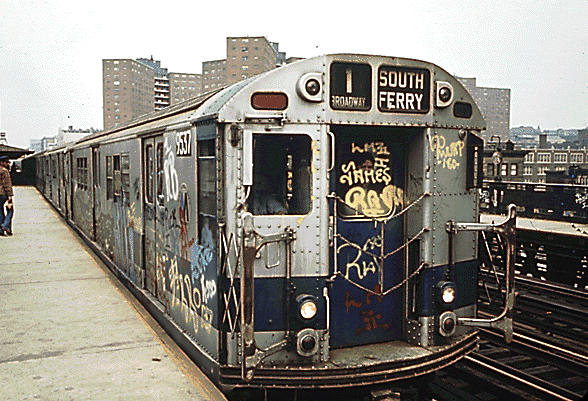 Modern graffiti was made famous in New York City in the early 1970s by the children of the working class. They called it "writing," and called themselves "writers." In a 1971 New York Times article, the term "graffiti" was first used to refer to the new urban art explosion that was becoming popular in New York City. This period of the early 1970s is known as the "Original School." Later in the 1980s, the next generation of graffiti artists is known as "Old School." Graffiti Facts for Kids. Kiddle Encyclopedia.